Washington Monthly | Why Should the Chancellor Live “On Campus”? Why Should the Chancellor Live “On Campus”? 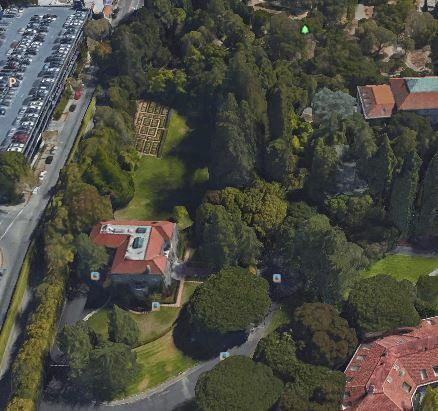 My colleague Sam Davis has a long and thoughtful post about a campus kerfuffle occasioned by installing a fence around part of the chancellor’s on-campus houseÂ (the uphill/east part of the estate is already fenced).Â Instead of spending close to a half-million dollars in a way that creates no value for the university, I agree with Sam that it’s time to take a long think about what we are trying to accomplish, and start down another path. The idea that the chancellor lives on campus is a charming idea (i) whose time has passed and (ii) which never really worked at Cal anyway. Three chancellors ago, the head guy was out and about on foot at all sorts of campus events and had students and others drop in to chat, but a combination of security risk and changes in the duties of the office have changed that.Â The house in question is isolated in the middle of a large compound that is not on the way from anywhere to anywhere (there’s no access from the street, which in any case has no sidewalk), and heavily screened by plantings.Â It’s geographically within the campus borders, but not “on campus” in any functional sense. I take as given that the market-clearing price for a good chancellor includes really nice housing, but the romantic model of having the house on campus is a fiction. At Harvard, Derek Bok took his family out of the house on Quincy Street and moved to a nice big mansion on a street in Cambridge, where he could have people to dinner like a normal person and meet ordinary neighbors mowing their lawns; no-one has wanted to move back since.Â Many quite grand houses in upscale residential neighborhoods in Berkeley would serve perfectly and not isolate the chancellor in a cocoon, which is what the current scheme actually does. He has an office right in the middle of campus, which is plenty of presence. Then we could open up the grounds, and use the house for what we really need, which is conference and event facilities. Chancellor Dirks, tear down this fence!